Table family designed in the fifties, available in various heights and sizes. Top in lacquered MDF and frame with centralleg, X-base in lacquered steel. 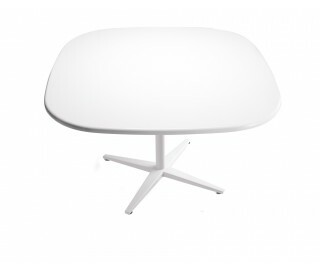 The little coffee table is available with castors or adjustable post.